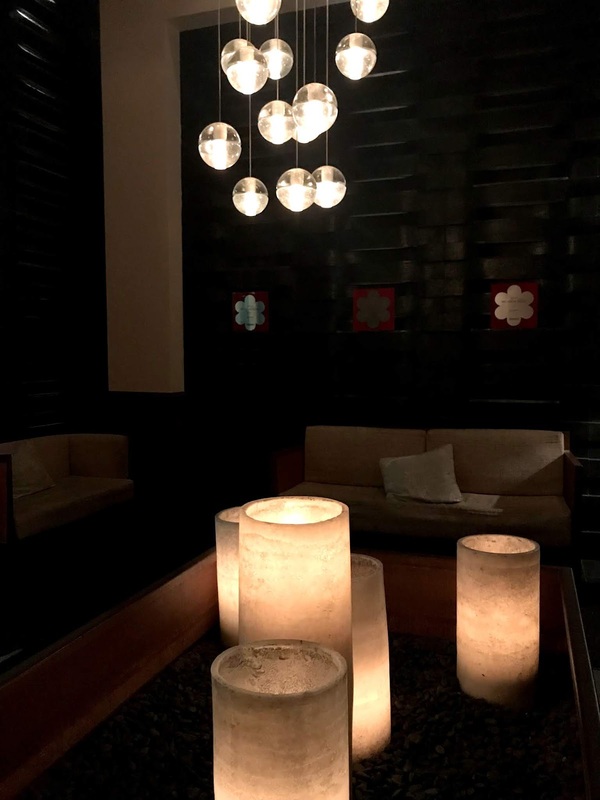 Restaurant Week Winter 2019 is here! 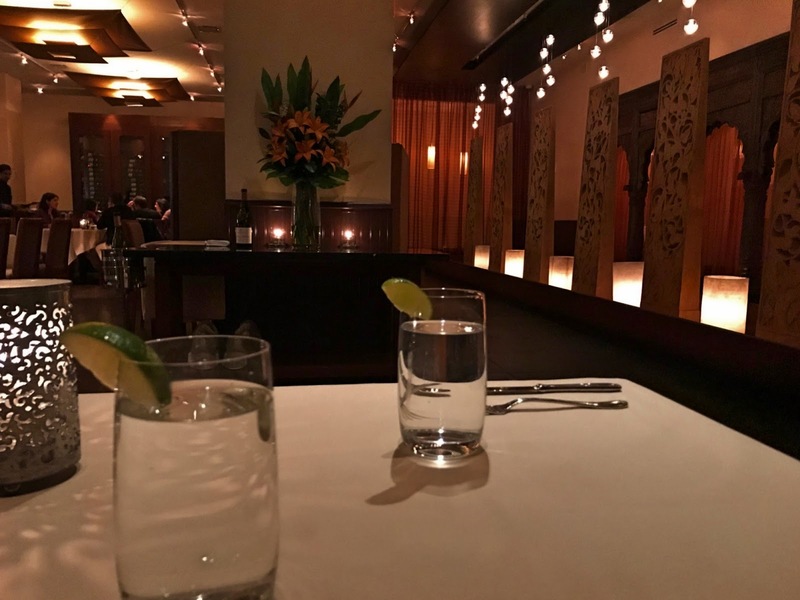 So, stay tuned for Restaurant Week posts! 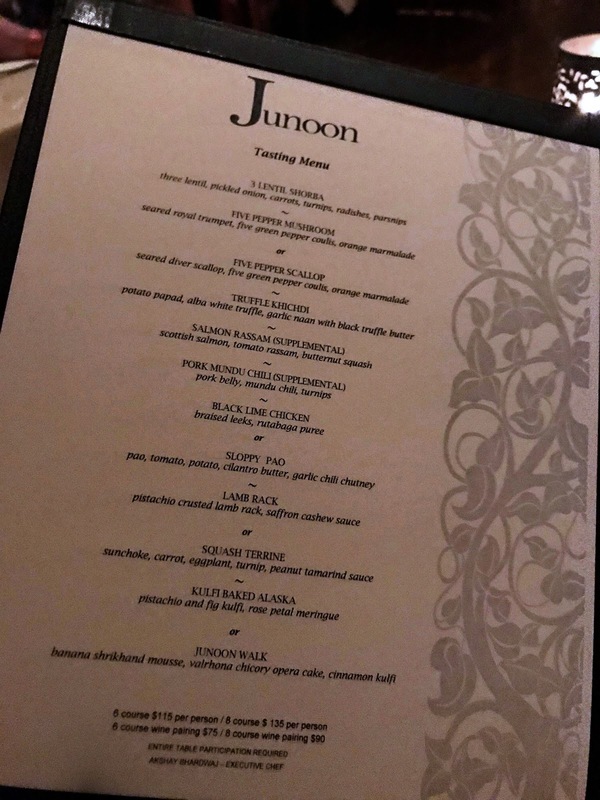 First up is Junoon, the Michelin Star Indian restaurant in New York City. 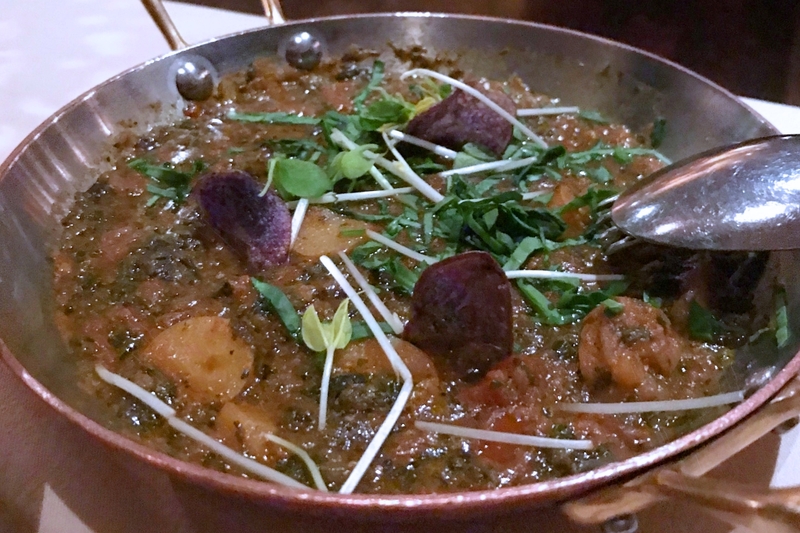 Junoon has plenty of vegetarian options on the menu, too. 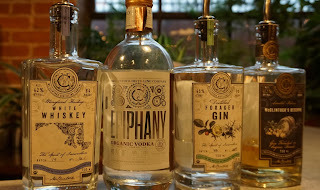 So, there would be something for everyone. After reading mixed reviews online about Junoon, I kept my expectations low-ish since it was restaurant week and because of my less than stellar experience last year at Aureole for Winter Restaurant Week 2018 (post here), since Aureole is also Michelin Star. I decided the strategy would be to order items that are also available on the regular menu, which ended up posing a slight challenge since it seems like some entrees are brought out only for RW. 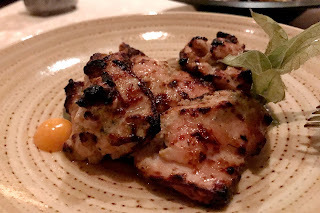 1) Ghost Chili Murgh Tikka - This was the most delicious dish we had the entire night! 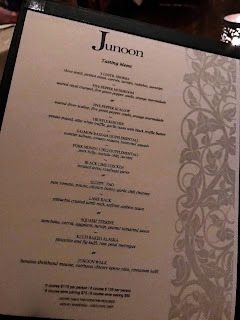 It definitely exceeded any expectations I may or may not have had about Junoon. The chicken was SO flavorful, so juicy, and so tender. It kind of felt like it melted in my mouth. DEFINITELY recommend! When we were served the ghost chili murgh tikka, we were warned 3 times that it is "VERY SPICY." 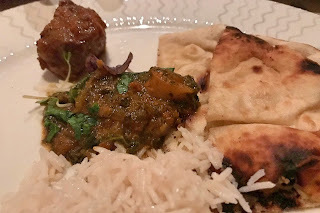 As a result, I kind of braced myself for the spice since, in the past, I didn't always heed the warning of spiciness at Indian restaurants. That being said, it's not very spicy at all. Even though it says "ghost chili," it truly is a dusting. There's a delicious semi-sweet green sauce underneath, which tastes ridiculously delicious with the each bite of chicken, so don't miss out on it until the last piece like I did. 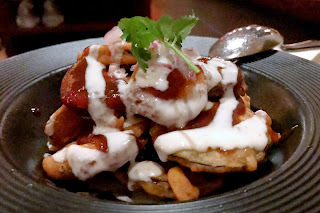 2) Eggplant Chaat - The eggplant chaat seemed like it was a crowd favorite. 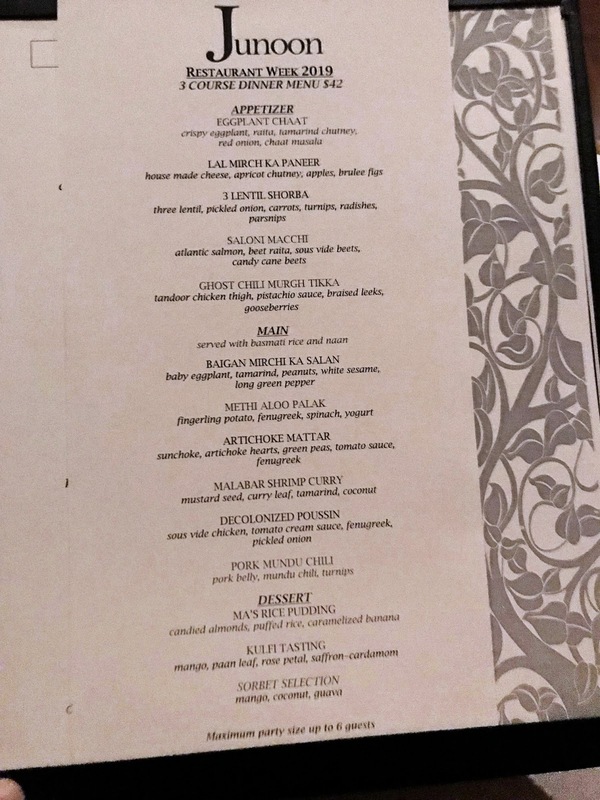 I also wanted to choose a non-meat option to test it out. This was pretty delicious, too. The eggplant was so fluffy and fried perfectly. It wasn't greasy and it was delicious when it came out, so definitely eat it right away when it's hot. The eggplant chips are kind of sweet and combined with the chutney and sauce, it was kind of the perfect bite. 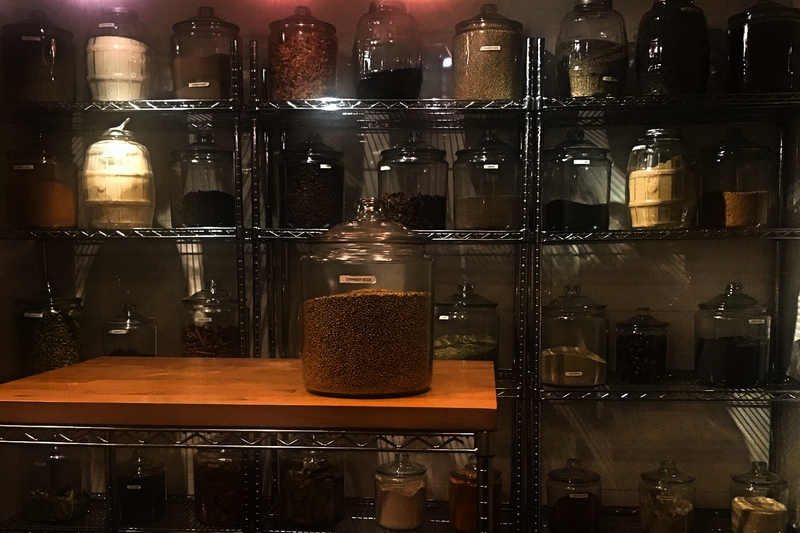 I would say this is a pretty solid meat-free choice even for meat lovers. 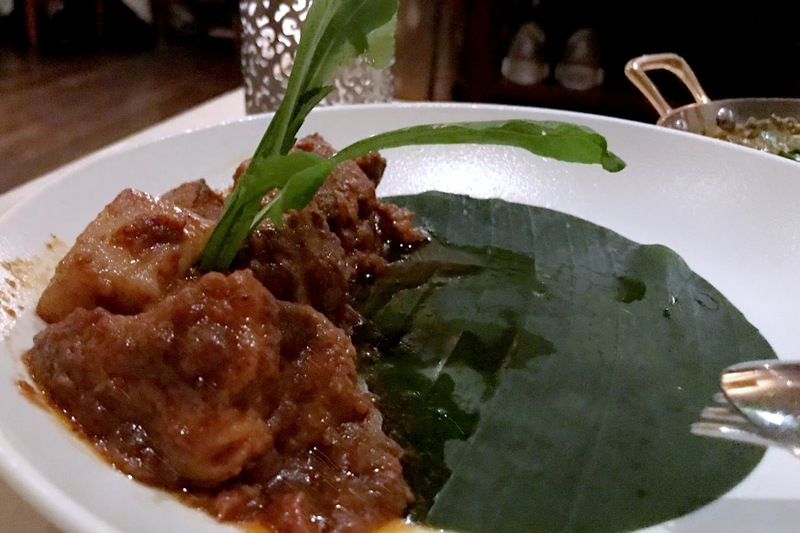 1) Pork Mundu Chili - This seemed like it was going to be a pretty good choice after reading some reviews online, but it was maybe going to be hit or miss as a choice, too (you can do your own research to read the same reviews). The pork used is pork belly, which if you have followed me for a long time, you know it's not my choice meat (as in, I lived in Korea for almost six years and only had samgyupsal 1-2 times). There were 7 pieces of pork on the plate, which was kind of an odd number..literally. 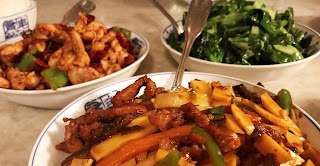 One of those pieces was pure pork fat, so it ended up being about six pieces of actual meat. The meat was SO TENDER. Even though it says "chili" this dish was also not spicy at all. Mundu chili peppers are supposedly medium spice level peppers, but I would say this was more on the mild side. Maybe it's the factor of each pepper is different. It was fine, but not a very memorable plate of the evening. I think if I could taste the mundu chilies, it would have been SO good! The meat quality was pretty darn good, it just wasn't that flavorful. It kind of reminded me of eating slow cooked pork ribs I made last week at home. 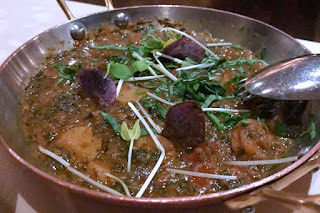 2) Methi Aloo Palak - I typically order aloo palak on rotation. Maybe I don't really know what it should be like, but I was expecting it to be more...spinach-y green. The potatoes used are cute little fingerling potatoes. So, that added some nice texture to the dish. The fingerling potatoes were cut kind of chunky, so there was still a bit of a snap when you bite the potatoes. I would say this was sightly more flavorful than the pork option. 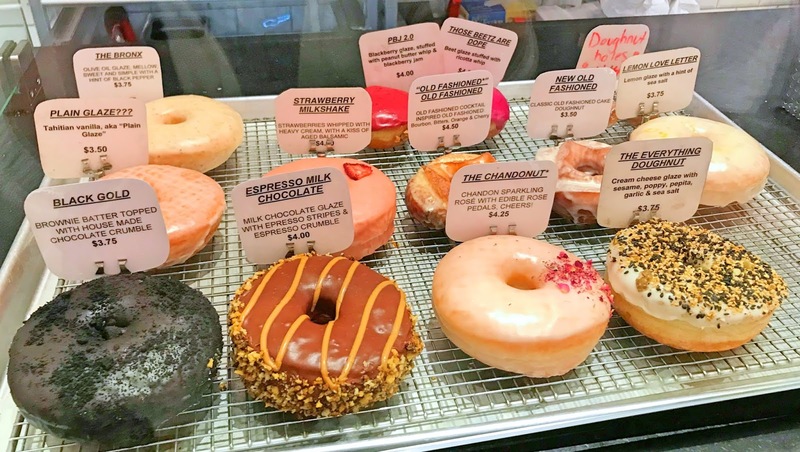 I would say that this is a pretty good choice for meat-free eaters, but if you're a meat eater, I would say maybe another option might be a good choice. After eating these two options, we kind of wondered if maybe we should have chose the shrimp curry instead of the Methi Aloo Palak. The mains come with naan and rice. This is the naan. It was buttery and fluffy, yet somewhat flaky. 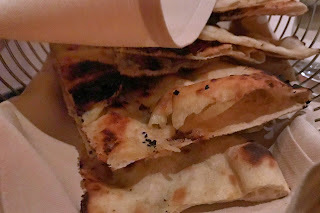 My boyfriend said this is some of the best naan he has had in a while, if not in his whole life. I would say that I did enjoy the flavor added by the butter, but I kind of wished that maybe it was a bit denser/thicker(?). Maybe I've just never had authentic naan. This is the rice. It was flavorful and fluffy. 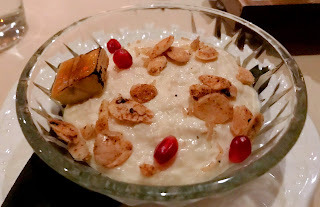 1) Ma's Rice Pudding - I oddly love rice pudding. I feel like it may be a simple thing to make, but I've had some bad ones in my day. However, this was DELICIOUS! 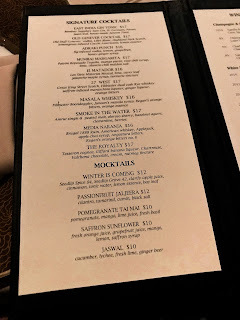 I would definitely say this made up for some of the disappointment I felt from our entree choices. 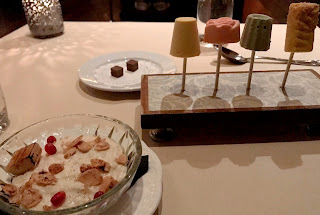 The rice pudding was sweet, but yet not too sweet or too rich. 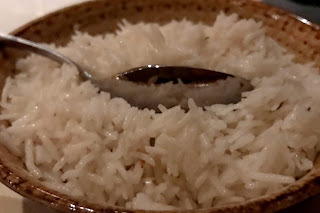 The rice was cooked perfectly in the rice pudding, too. The rice cereal on top, along with the pomegranate arils, were perfect with each bite! 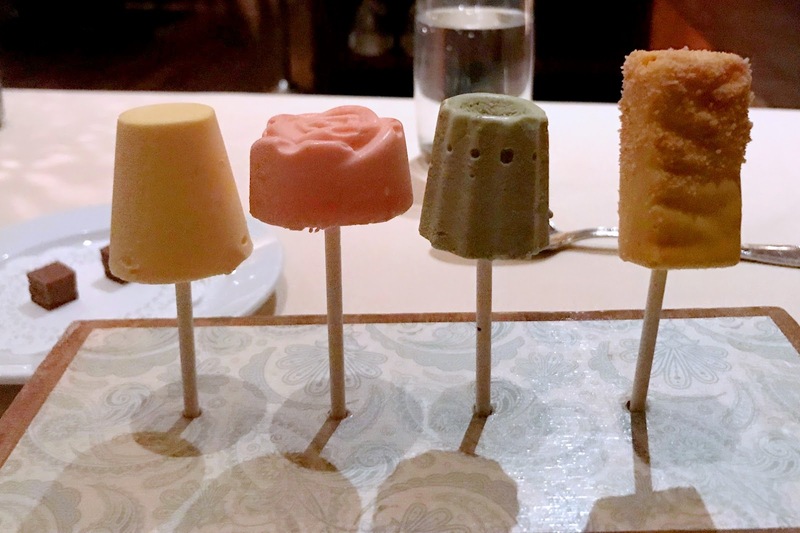 2) Kulfi Tasting - These were delicious little ice cream pops in pretty unique flavors: mango, rose, paan leaf, and saffron-cardamom (left to right). 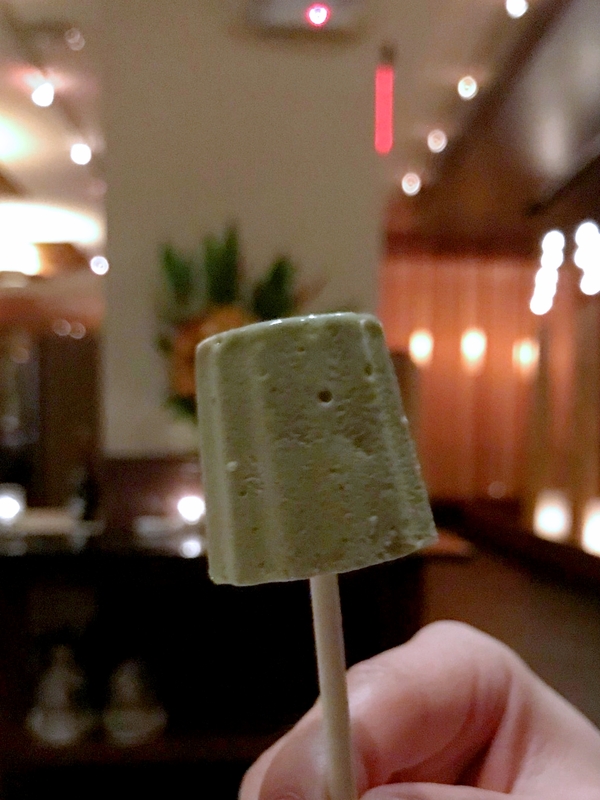 The paan leaf pop was probably one of the most unique flavors of the night. It definitely grew on me. 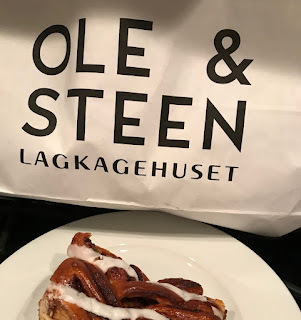 The first bite was fine, but I don't think I would seek out more if that was the only bite I had in my life, but the third bite made me a believer. I also, like rice pudding, really, really love rose flavored items. Also, like rice pudding, it is quite hard to get it right. Too heavy handed and then it tastes like you're eating a bar of soap. 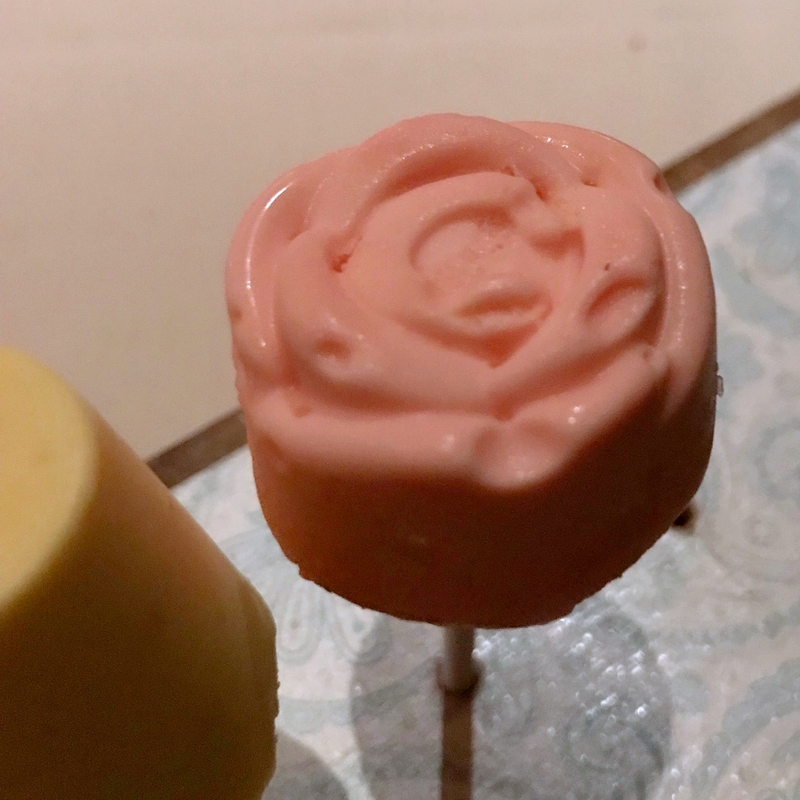 The rose flavor at Junoon was quite enjoyable. 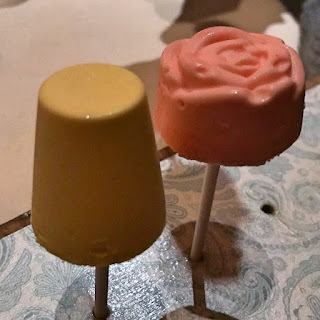 It took my boyfriend three bites to really like the flavor, so it is maybe one that grows on you, like the saffron-cardamom one did to me. The last one we ate was the mango pop. We wanted to end with the more conventional flavor, just in case we weren't huge fans of the others. I think that was probably a pretty good decision even though we think we're relatively adventurous.